A report by Cortellis says that seven drugs entering the market in 2019 are projected to reach blockbuster status by 2023. Every year, countless new drugs enter the market, but only a select few have the potential to become blockbuster treatments within their first five years, according to Cortellis’ Drugs to Watch 2019 report. As defined by the firm, blockbuster drugs are treatments that cross the US$1-billion annual sales threshold. This year, Cortellis says that seven newcomers are projected to reach that status by 2023. 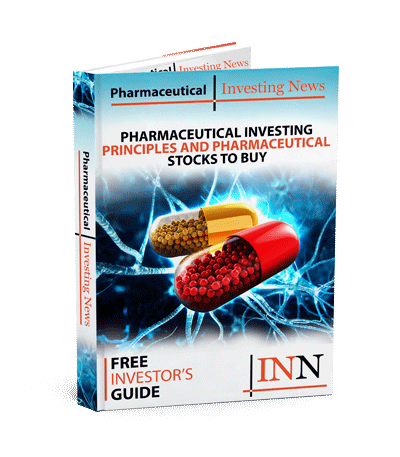 Here, the Investing News Network breaks down each of the seven potential blockbuster drugs coming into the market this year and the public companies behind these therapies. The first drug Cortellis highlights is upadacitinib (ABT-494), a drug being developed by AbbVie (NYSE:ABBV) to treat rheumatoid arthritis. ABT-494 is an orally given inhibitor of an intracellular target, JAK1. In the US, the drug received priority breakthrough from the US Food and Drug Administration (FDA) in early 2018 and by December AbbVie had submitted a new drug application for ABT-494 to the FDA and the European Medicines Agency (EMA). In February, AbbVie revealed that ABT-494 had been accepted by the FDA for priority review. Cortellis estimates that the drug has a 95 percent chance of approval in each region, and that the US will most likely approve ABT-494 in August and the European Union (EU) in October. ABT-494’s filings in the US and EU were based off of data from AbbVie’s Phase 3 SELECT trial program, which demonstrated improvements in moderate to severe rheumatoid arthritis. Other Phase 3 trials for the drug are taking place for ulcerative colitis, psoriatic arthritis, Crohn’s disease and atopic dermatitis. Cortellis estimates that the drug will garner US$53 million in sales this year, with that number increasing to a staggering US$2.2 billion by 2023. Zolgensma (AVXS-101) is the second drug highlighted by Cortellis. AVXS-101 was developed by AveXis, a subsidiary of Novartis (NYSE:NVS), to treat spinal muscular atrophy (SMA). SMA is a “muscle-wasting” condition that affects mostly babies and children and has the potential to be lethal, usually in early childhood. The treatment is administered as an IV infusion that uses a viral vector to “introduce DNA for a functional SMN (survival motor neuron) protein into a patient’s cells.” This allows the cells to create the SMN protein that is missing. Last year, AveXis filed to have the drug approved in the US, EU and Japan to treat SMA type I. Both AveXis and Novartis expect that the drug will officially launch in the US and Japan sometime in the first half of this year and in the EU in the latter half of 2019. Cortellis estimates approval probabilities for the drug are more than 70 percent in the US and EU, with a significantly higher 90 percent in Japan. Cortellis projects sales of AVXS-101 to generate revenues of U$449 million in 2019 before reaching US$2.09 billion in 2023. Next is roxadustat (FG-4592, AZD-9941, ASP-1517), an oral drug that is being co-developed by AstraZeneca (NYSE:AZN), FibroGen (NASDAQ:FGEN) and Astellas Pharma (OTC Pink:ALPMY). FG-4592 aims to treat anemia in chronic kidney disease patients who are on dialysis by inhibiting hypoxia-inducible factor-prolyl hydroxylase (HIF-PH). Through inhibiting HIF-PF, the drug “preserves” the hypoxia-inducible factor and is then able to “stimulate the production of erythropoietin and mobilization of iron,” which assists red blood cell production and function. Roxadustat was approved in China in December to treat chronic kidney-disease-related anemia in patients who depend on dialysis. It is estimated that the drug will launch in the country in the second half of 2019, while approval for patients not on dialysis should happen sometime in mid-2019. Meanwhile, Cortellis says the drug is currently undergoing regulatory review in Japan and has a 95 percent chance of being approved in the country by August of this year. In the US, a filing is projected to take place by Q3 2019 with Cortellis estimating a 94 percent probability of being approved, should that filing take place. According to Cortellis, this drug will generate revenues of US$30 million in 2019 and reach to US$1.97 billion by 2023. Ultomiris (ravulizumab, ALXN-1210) is developed by Alexion Pharmaceuticals (NASDAQ:ALXN) and is indicated for paroxysmal nocturnal hemoglobinuria (PNH), which is a rare blood disorder affecting between one and five people for every million. Ultomiris is a humanized monoclonal antibody that is administered through an IV infusion and works as a complement inhibitor. In December of last year, the FDA officially granted Alexion Pharmaceuticals approval for ultomiris for use in adult patients with PNH, and it was officially launched in January 2019. Cortellis projects revenues from ultomiris to total US$170 million this year and US$1.93 billion by 2023. Skyrizi (risankizumab, BI-655066, ABBV:006), which was developed by Boehringer Ingelheim and AbbVie, is a drug indicated to treat psoriasis. Psoriasis happens when the body replaces skin cells at a much higher rate than is typical, and it results in an itchy, painful build up of skin that often presents with a red and scale- or plaque-like appearance and texture. Skyrizi is a monoclonal antibody that inhibits the pro-inflammatory cytokine IL-23, and it is given as a subcutaneous injection. The companies filed for FDA approval of skyrizi in April 2018 for moderate to severe plaque psoriasis and for the same condition in the EU the following month. On March 26, the drug officially received regulatory approval from the Japanese Ministry of Health, Labor and Welfare for treatment of plaque psoriasis, generalized pustular psoriasis, erythrodermic psoriasis and psoriatic arthritis for adult patients who have not responded well to other therapies. According to Cortellis, the drug has a 95 percent approval probability in the US and the EU. It projects sales of skyrizi to touch US$132 million in 2019 before crossing the US$1.74-billion threshold in 2023. AR-101, developed by Aimmune Therapeutics (NASDAQ:AIMT), is an oral desensitization immunotherapy indicated to treat peanut allergies. Peanut allergies are one of the more common food allergies, affecting roughly 6 million people across the US and Europe. AR-101 contains defined amounts of peanut protein and is given in increased amounts over a set period of months to induce peanut tolerance in these patients. In December 2018, the company submitted a biologics license application to the FDA for approval of AR-101 in children and adolescents between the ages of four and 17. That said, in February, the company revealed that the FDA decided the drug, as an allergenic extract, is exempt from the prescription drug user fee act. Because of this, even though the drug received the breakthrough therapy designation, the typical expedited review may be replaced by a 12-month target review period. That said, Cortellis estimates a 95 percent chance of approval in the US by November 2019, a timeline that it admits could be altered by the FDA discussions, and an EU filing in the first half of this year. Cortellis is estimating sales to reach US$35 million in 2019 and climb to US$1.17 billion by 2023. LentiGlobin (betibeglogene darolentivec) was created by bluebird bio (NASDAQ:BLUE) for the treatment of the genetic blood disorder beta thalassemia in transfusion-dependent patients. Unlike the other items on the list, LentiGlobin is an investigational gene therapy. Patients with the disorder have a reduced amount of beta globin, one-half of the hemoglobin complex. This lack of beta globin results in severe and life-threatening anemia, which can lead to bone deformities, growth and metabolic complications and potentially life-long blood transfusions to mitigate the disorder. LentiGlobin therapy will be used to correct the disease by genetically altering the patient’s cells to correctly produce beta globin. LentiGlobin was accepted for regulatory review in the EU in October 2018. The treatment was granted an accelerated assessment by the EMA’s Committee for Medicinal Products for Human Use in last July. Cortellis estimates an 88 percent chance of approval in the EU by November of this year, while the US is projected to have lower chances at 70 percent with approval expected in February 2021. According to Cortellis, LentiGlobin has a sales forecast of US$11 million in 2019, and is expected to climb significantly to US$1.12 billion by 2023.